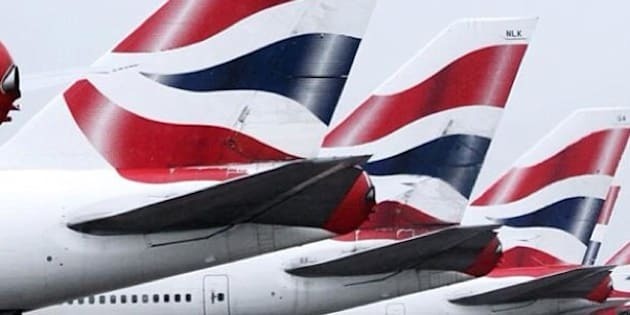 British Airways has been ordered by the Canadian Transportation Agency to improve financial compensation for passengers it bumps from overbooked flights, potentially bringing the carrier in line with the same changes Air Canada was ordered to make last year. The ruling came after Gabor Lukacs, a Halifax mathematician and air passenger rights advocate, complained to the regulator that British Airways does not adequately compensate bounced passengers. "Some people just enjoy the power. They know that they are the lords of life and death. You can have a wedding, you can have a funeral, but if they say you are bumped, you are bumped," Lukacs said Monday. "That makes people extremely angry, for good reason. Not only because of the bumping itself but how it&apos;s being done." The Canadian Transportation Agency said the London-based carrier must rewrite its policies governing the rights of passengers who are denied boarding or who face flight delays or cancellations. Policy changes are also being required to cover damaged or delayed baggage. The regular ruled British Airways "fails to strike a balance between the passengers&apos; rights to be subject to reasonable terms and conditions of carriage, and British Airways&apos; statutory, commercial and operational obligations." The airline bumps about 180 Canadian passengers a year from its flights to Europe. Lukacs said he doesn&apos;t understand why British Airways had to be forced to do the right thing. "Why did they resist? Why did they waste valuable judicial resources here?" he said. "Other than just the corporate bloody-mindedness, that we as a corporation cannot be wrong. If you think we are wrong, then probably you are wrong." Lukacs has, in the past, successfully challenged Air Canada&apos;s compensation policies. He started investigating compensation issues in 2011 after discovering his flight was overbooked. His complaint led to new rules for Air Canada requiring that passengers be compensated $200, $400 or $800 per passenger depending on whether the delay is less than two hours, between two and six hours, or more than six hours. The CTA also imposed strict conditions on offering travel vouchers instead of cash, including a one-to-three exchange rate — for example, $1 in cash is equal to $3 in travel vouchers. Passengers can now insist on receiving cash as compensation for being bumped from a flight. British Airways is required to revise its policies by Feb. 17 or explain why it shouldn&apos;t apply the same formulas imposed on Air Canada or used in the United States. In the U.S., the compensation is as much as $650 if alternate transportation is offered and as much as $1,300 if it is not. "British Airways has always strived to provide fair compensation to Canadian customers," a spokesperson for British Airways wrote in an email. "We will be working on the requested tariff updates, in consultation with the CTA."